Pinkaloo helps you recruit and retain Customers and Employees through our white-label Modern Giving platform. We integrate Modern Giving into your existing tools to meet your users where they are and configure your program to drive maximum engagement. Individuals can then use our secure, white-label solution to centrally manage all of their giving, like a Health Savings Account for managing donations. Individuals fund their account anytime, immediately receive their tax receipt, and can donate to any registered charity anytime and anywhere that they want. We have fun Discover, Collaborative, and Gamification tools built right into the app, and can integrate with your current referral, reward, and engagement programs. Connect with a new generation of Millennials, who want to engage companies with a social story. Build stronger relationships with employees and customers that will become advocates for your brand. Introduce creative ways to leverage existing and new tie-in programs. The best charitable giving experience for your users. 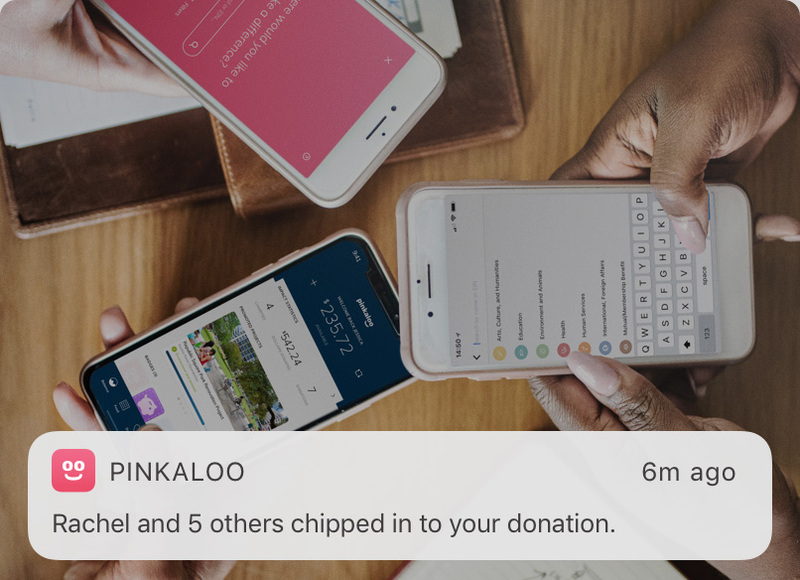 Pinkaloo's Giving Feed allows donors to share their donations with their peers. Our built-in crowdfunding, the Chip In, allows community members to collaborate and maximize their impact. Unique discovery tools help individuals find organizations that align with their passions. Users can then donate directly to any charity they want to support. 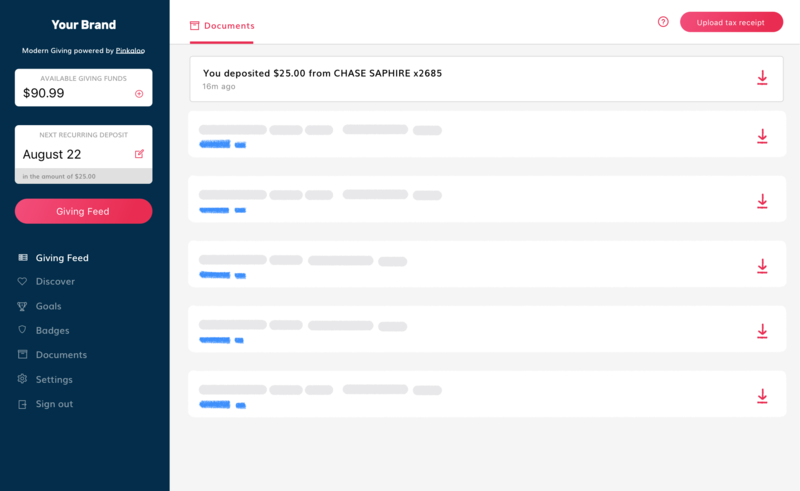 Modern Giving puts users in control of all aspects of their giving, including budgeting, tracking, and of course all of their tax receipts in one place. Donors can support their preferred charities in seconds. Our parents made their first donation in under two minutes. It's that easy! Built for purpose-driven businesses who want to enrich the charitable-giving experience. We've grown a community of valued partners.